I look at 1978 as the middle-child of movie years. Moviegoers were still wowed by 1977’s Star Wars, which was continuing to play on many screens in’78. Lucas’ masterpiece had just set Hollywood on its own space race, but it took a couple of years for Lucas imitators and other sci-fi directors to get their films produced. As such, many of the sci-fi films I grew up with and celebrate as seminal were not released until 1979. But what about the year in-between? It had Dawn of the Dead, a smart mix of social commentary and horror, and Grease, which is a fun sing-a-long romp that I’ve watched more times than I can count. Still, neither changed my life nor my view of film. And please don’t bring up Jaws 2, Animal House, or Every Which Way But Loose. No, in 1978 there are only two films that resonated with me. The first was Halloween, an annual must-watch for me that iterated the Texas Chain Saw Massacre formula and is the father of the 80s slasher film. 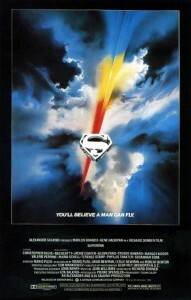 But its impact pales in comparison to the single 1978 movie that made me believe a man could fly — Superman: The Movie. I was 4 years old when this superhero film was released, but my parents took me to see this in theaters despite my young age. In one viewing my focus changed. 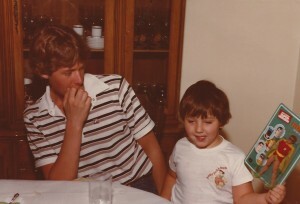 I’ve gone back and looked at family photo albums. 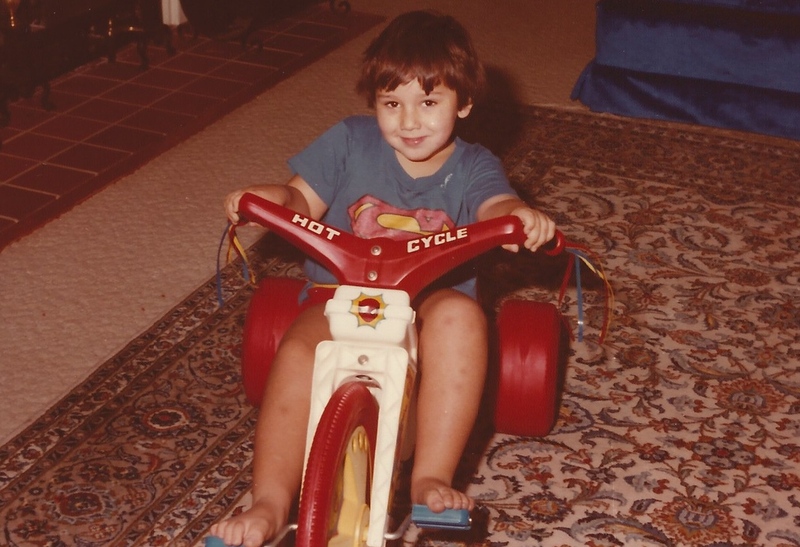 From September ‘74 through November ‘78 all my photos were full of the usual childhood accouterments: I had PlaySkool’s wooden Sesame Street figures, clown items, Cookie Monster designs on my 4th birthday cake. You can see the changes after December ‘78. 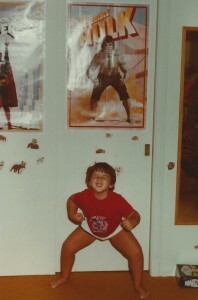 My clothes were no longer Big Bird T-Shirts, now they were superhero Underoos. Away went the baby PlaySkool toys and, in their place, was a collection of Mego Superheroes. 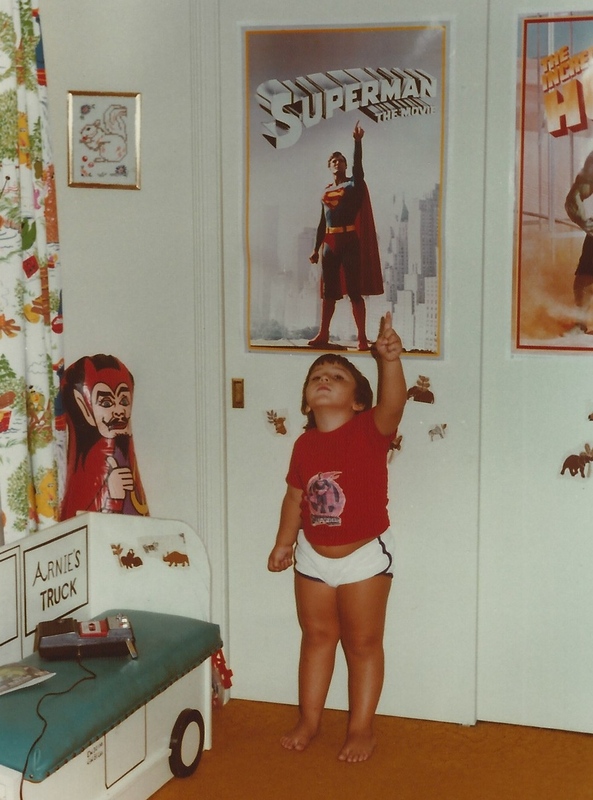 And on my bedroom wall were two new posters: Lou Ferrigno as CBS’s The Incredible Hulk, and Christopher Reeve, arm pointing to the sky, advertising Superman: The Movie. Obviously, many films captured my imagination (and my parents’ dollars) as a child. That alone is not enough to warrant the title of Most Important Film of 1978. However, when I look at my life, and when I look at the hit movies of today, it’s impossible not to see the legacy of star Christopher Reeve and director Richard Donner. 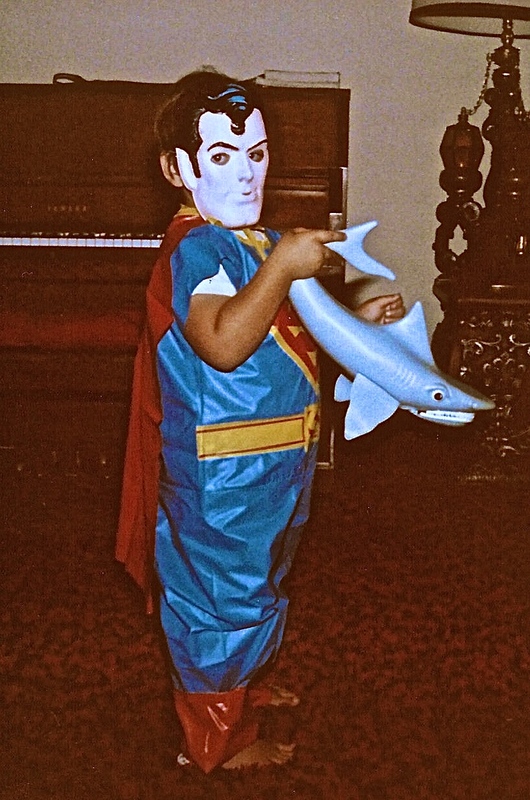 In the mid-70s superheroes were seen as campy entertainment for children. Comic books had long been stigmatized as pulp trash, and that reputation was solidified by the 1960s Batman TV series. Early drafts of Superman reflected that attitude as well (you can hear all about that in the Now Playing Podcast Superman review). But with this Superman film Donner saw an opportunity to make a more serious superhero adventure. He gave A-list stars Marlon Brando and Gene Hackman top billing, brought in state-of-the-art special effects, and allowed John Williams to create that emotional, rousing anthem for his hero. 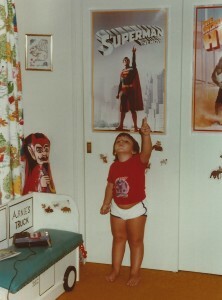 The result was a film that lived up to the promise on its poster, and as a 4-year-old I believed a man could fly. Admittedly, Superman did not completely abandon some campy scenes and performances; Ned Beatty’s Otis could have been teleported right from that 60s Batman series. Still, by taking the material as seriously as it did Donner and company created the first modern superhero film. Is that a spider on the ceiling? You can see the lineage: Superman begat 1989’s Batman, which begat The Crow five years later, which begat Blade in ‘98, which begat 2000’s X-Men (also produced by Donner), which begat 2002’s Spider-Man, which led to the creation of the Marvel Cinematic Universe, starting with Iron Man in 2008, and The Avengers four years later. And those are just the game changers. More than 100 other big-budget, major motion pictures follow Superman’s example of treating the material with respect and casting big-name stars as iconic comic characters. To this very day, almost every single superhero film is still following the mold created by Donner. As the Now Playing Podcast reviews show, the Superman series went downhill very quickly. Producers Alexander Salkind and Ilya Salkind fired Donner, and without his vision the series devolved into a Richard Pryor yuk-fest. It took Tim Burton’s Batman to remind Hollywood that audiences will turn out for a serious superhero film. Then, like Superman before it, the Batman series quickly collapsed when Burton moved on. It was finally Bryan Singer’s X-Men that ignited what has become the blockbuster movie genre of the 21st century. (Don’t get me started on what Singer did to Superman, you can hear my review of that travesty in the Now Playing Podcast archives.) 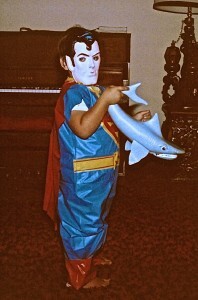 As for me: seeing 1978’s Superman at such a young, impressionable age forever changed my world view. While I was never heavy into comic books, Superman turned me on to multimedia superheroes. My morning cartoons became filled with Batman and Spider-Man and Hulk, and every time there was a new comic-based television series or film I was in the audience. Sometimes Superman gets bored of flying. I am forever chasing the sense of wonder I felt in 1978 when Clark Kent ripped open his shirt and I saw the bright red and yellow S. Better still, this is a good movie. Unlike Texas Chain Saw Massacre, which I don’t enjoy but which fathered films I love, Superman: The Movie is always a joy to watch. While the pacing (especially in the director’s cut) may bore some people, I love the character exploration and world-building that Donner indulges. This love of superhero movies would be a direct catalyst for the creation of Now Playing Podcast, a show that’s been downloaded by hundreds of thousands of people across the globe. The idea for what would become Now Playing came to me as I was leaving a screening of the Marvel Comics movie Ghost Rider, and our first review was Sam Raimi’s Spider-Man 3. The excitement for Marvel’s The Avengers kicked off Now Playing’s longest retrospective series, and turned the podcast into a weekly show as we revisited every Marvel movie, starting with George Lucas’ Howard the Duck. It is also Marvel’s Iron Man 2 that made me a serious collector of comic book-related merchandise. That led to the creation of the podcast Marvelicious Toys and my sizable Marvel collection, full of movie-based Hot Toys figures, quarter-scale statues, and even some one-of-a-kind production materials from Howard the Duck. And while my collecting focus has been the Marvel films, I do own one single collectible from the DC universe: a Hot Toys figure of Christopher Reeve from 1978’s Superman. I own it not as a collector, but as a fan, and I display it in my home theater as a reminder that I still believe a man can fly.